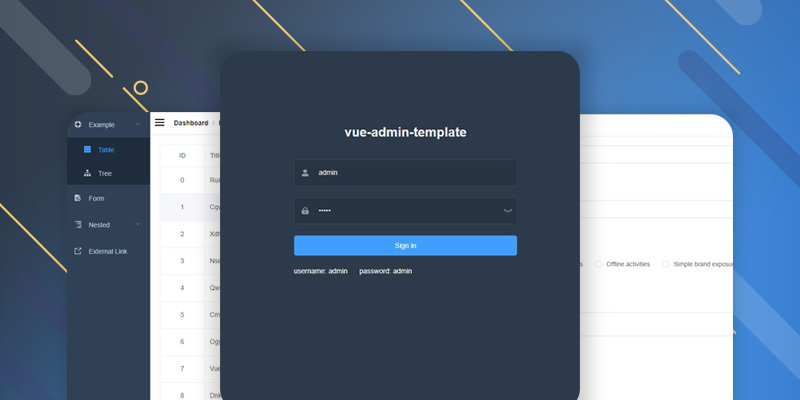 Vue Material Admin Template based on Vue.js and used Vuestifyjs Framework. 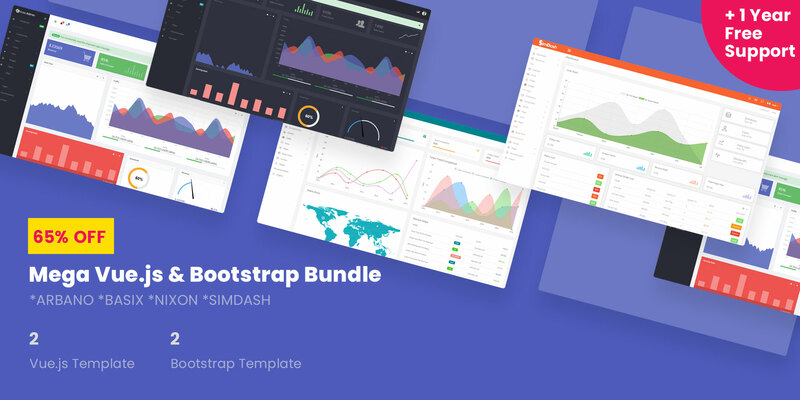 There are tons of layout components, pickers, widgets and other necessary sections. 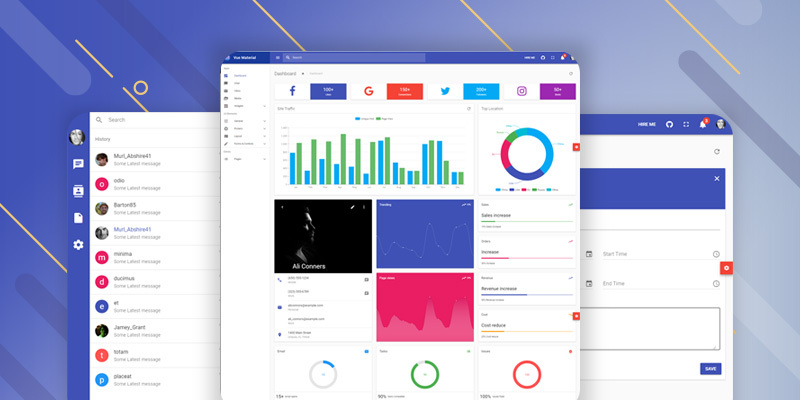 This Material Template is enough to make complex Dashboard or App. Because it has all possibilities which required to configure a complected App. Before go to the Features section, here is a video guideline for you. This video recorded to show how to install “Vue Material Template" in your device. Make sure you have installed Node.js first in your machine. 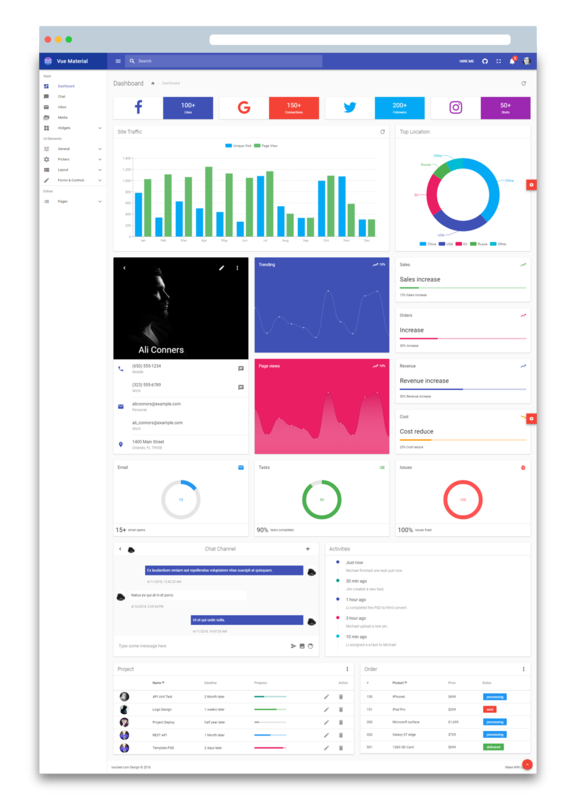 Dashboard: There are some built in widgets and data showcase to arrange the demo dashboard. 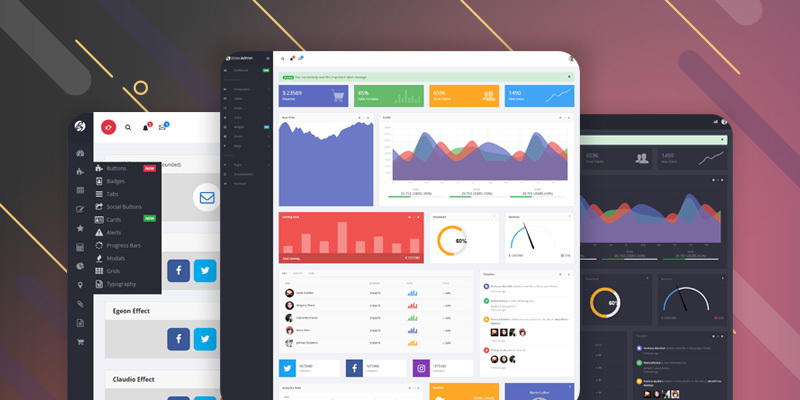 Social media, Site Traffic, Locations, Sales, Activities, Projects and some other components are placed in the dashboard to look attractive. Chat: It has configured default chatting system. 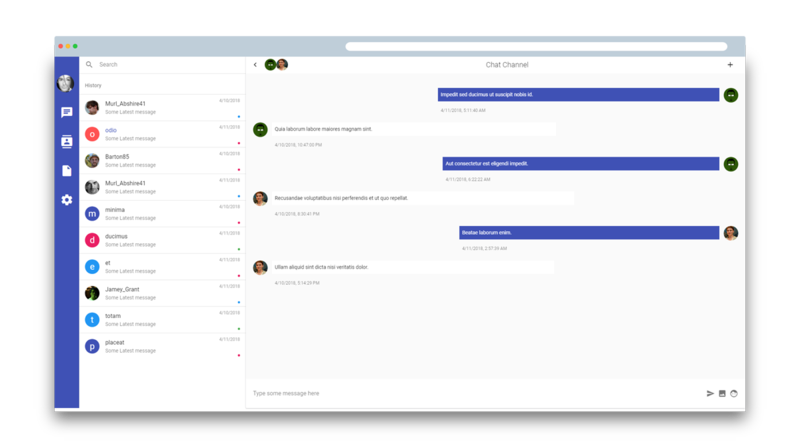 It’s easy to discuss with any member via chat instead of mail system. There is a contact system which help to list down each and every contacts in your list. 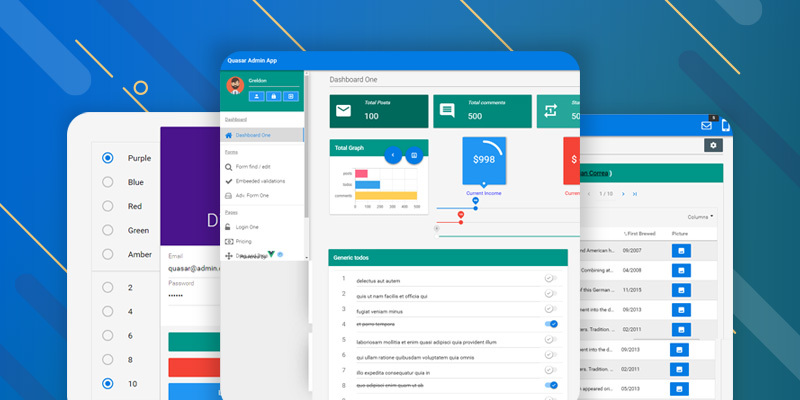 General: In this general section it has all necessary components which help to stand out an Admin App. For example Alerts, Avatars, Badges, Buttons, Cards, Carousels, Chips, Color, Data Tables, Dialogues, Icons etc. Most off all components has multiple variation. Pickers: There are two type of pickers in this Template. One is Datepicker and another is Timepicker. Date picker help to select any date from the calendar. Timepicker used to select the exact time of any date. Both are necessary to make schedule system. Layout: Layout comes with some more components which especially need some time to arrange APP or Dashboard. Bottom panels section based on click to popup system. Expansion panels has Expand, Accordion, and popout system. Footer has some pre built example you can copy to arrange footer. Some other section like Jumbotrons, Lists, Menus, Tabs, Timeline, Toolbars are available here too. 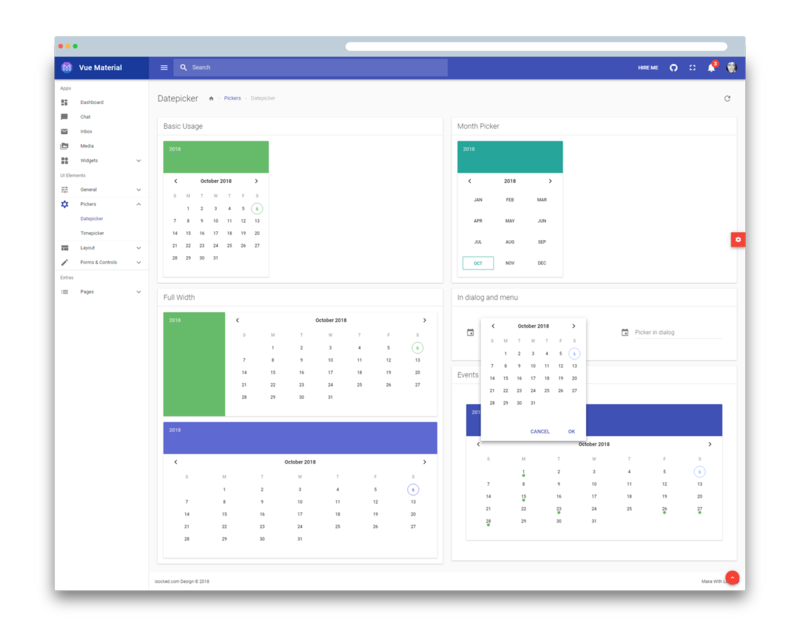 Forms & Controls: The most important section for any type of Admin Dashboard. It contains Editors, Selects, Steppers, Text Fields, General, and Selection controls option. These are necessary to get data from user or member. 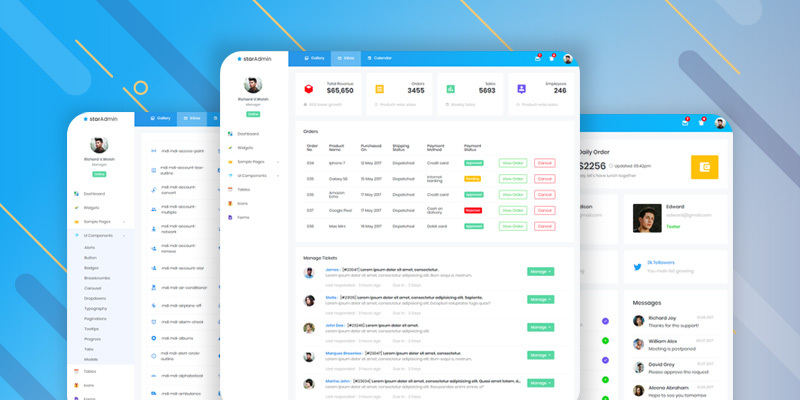 The blueish design make it unique and especially code structure is awesome. Easy to understand for beginner too.